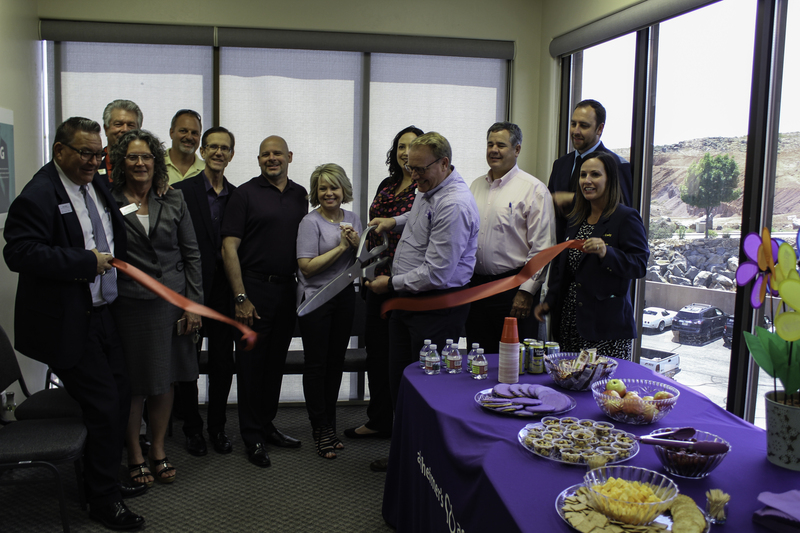 ST. GEORGE — The Utah chapter of the Alzheimer’s Association celebrated the opening of its first office in St. George with a ribbon cutting Wednesday afternoon. The Alzheimer’s Association’s mission is to eliminate Alzheimer’s disease through the advancement of research and provide support for the caretakers of those who have it. The association will provide a variety of services to the Southern Utah area, including programs for those in the early stages of the disease, education programs for long-term and professional caregivers, physician outreach to educate them on diagnoses and how to help families post-diagnosis and a dementia caregiver support group. The association also has a 24 hour helpline for information and assistance with any kind of Alzheimer’s or dementia related issues. “It’s going to be an exciting time and we look forward to serving the community and helping Southern Utah do better in this area,” regional manager Mike Miller said. St. George Mayor Jon Pike spoke at the ceremony and announced that his father was diagnosed with dementia last week. He said he understands the great need for the services the association offers. The need for an office in St. George is huge, program director Kate Nederostek said. Ten percent of people aged 65 and older and 30 percent of those 85 and older have Alzheimer’s, and Washington County has the largest population of adults aged 65 and older per capita in Utah. While there is currently no known cure for Alzheimer’s, researchers are looking for ways to reduce risk, detect it earlier and slow down the process. A recent discovery is the link between managing systolic blood pressure and reducing the risk of cognitive decline and dementia. While diagnosing Alzheimer’s and dementia will not stop the disease, it can help families to prepare for it better and allows patients to arrange for care while they can. The Alzheimer’s Association is the largest nonprofit funder for Alzheimer’s research and support. It is the third largest in the world, after the U.S. and Chinese governments. A few years ago the association began not only funding research but performing it as well. The association is currently working on the Imaging Dementia—Evidence for Amyloid Scanning (IDEAS) study which aims to prove that receiving a PET scan is essential for diagnosing dementia so that insurance companies will begin to cover this expensive scan. It also launched the Finnish Geriatric Intervention Study to Prevent Cognitive Impairment and Disability (FINGER) study, which looks at how lifestyle changes can reduce cognitive decline. Those in Southern Utah can help support the Alzheimer’s Association by attending the Walk to End Alzheimer’s at the Dixie State University’s Trailblazer Stadium Nov. 10 at 9 a.m. the world’s largest fundraising event for Alzheimer’s research. 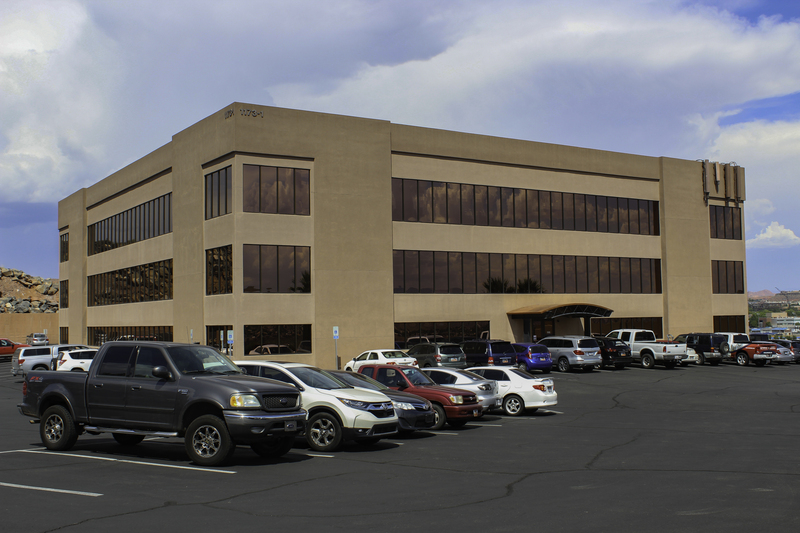 The new office in St. George is located at 1173 S. 250 West, Suite 302.